Could your home have an elevated level of radon? Nearly 1 out of every 15 homes in the U.S. is estimated to have elevated radon levels, according to the EPA. Radon is a naturally occurring gas that could be present at a dangerous level in your home. Have you thought much about chemical elements since studying the periodic table in high school? Well, one that you should be thinking about is radon, a naturally occurring gas that could be present at a dangerous level in your home. This colorless, odorless, and tasteless gas silently contributes to 21,000 lung cancer deaths each year, according to the Environmental Protection Agency (EPA). In fact, it is the leading cause of lung cancer among non-smokers, and the second leading cause of lung cancer overall. 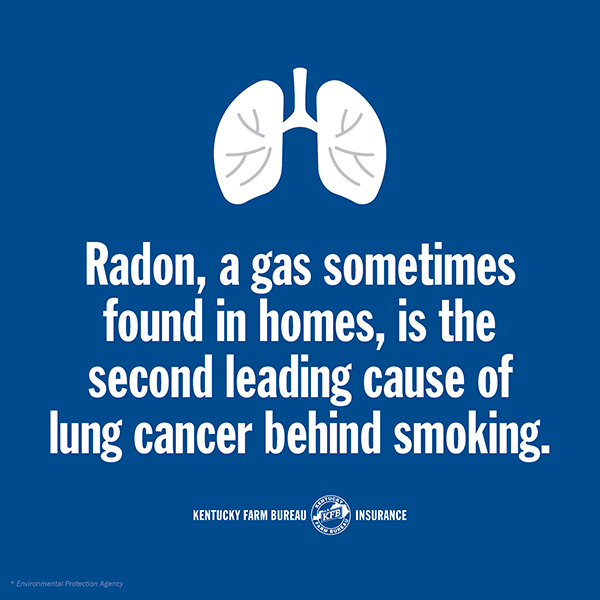 As radon decays, it releases radioactive byproducts that can alter the cells in the lungs when inhaled, according to the Kentucky Energy and Environment Cabinet. These alterations can increase the potential for developing lung cancer. If you smoke and your home has high radon levels, the EPA warns that your risk of lung cancer is especially high. Breathing radon does not produce immediate symptoms. It could take years before health problems appear, according to the Centers for Disease Control and Prevention. How does radon get inside buildings? Exposure to limited concentrations, like those found outdoors, is impossible to avoid. However, when radon gets trapped indoors, it may exist in dangerous concentrations. Nearly 1 out of every 15 homes in the U.S. is estimated to have elevated radon levels, according to the EPA. But how does it get there? According to the National Radon Defense, most radon gas comes through the soil, so a house with a dirt crawl space is at maximum vulnerability. Even houses with sturdy concrete foundations can have high radon levels. Radon can enter a home through cracks in the foundation floor and walls, basement floor drains, sump openings, and holes made for pipes and other utility lines. 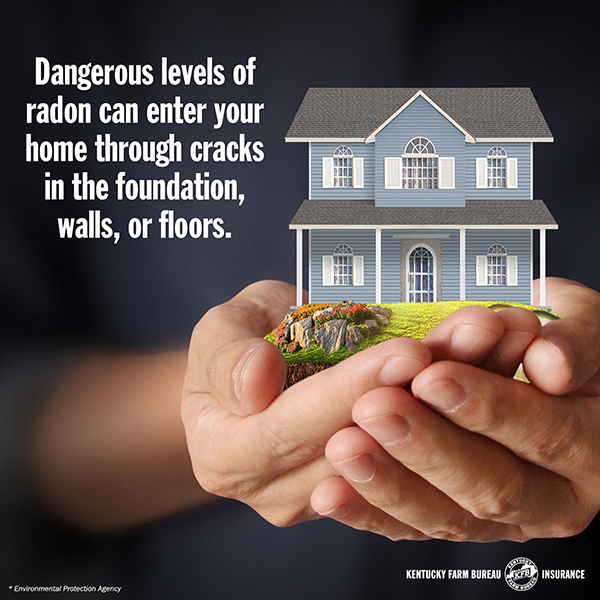 Once inside, your home traps the radon where it can build up. 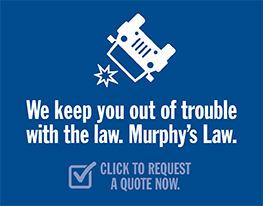 Levels may be higher in the winter when your windows and doors remain closed tight. Though less common, radon can also be present in your home’s water. Radon is not a concern if the source of the water is from lakes, rivers, and reservoirs, according to the CDC. In those cases, the radon is mostly released into the air before it enters your home. There may be a concern when your home’s water supply is from underground sources, such as a well. How can you prevent radon? Because it is colorless, odorless, and tasteless, there is no way to detect its presence unless you test for it. The U.S. Surgeon General recommends that all homes be tested for radon. You can test for radon yourself using an inexpensive at-home testing kit, or you can hire a professional. To find a radon test kit or professional recommended by the EPA, click here. 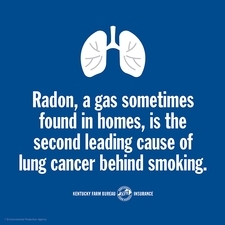 Luckily, radon is a health hazard with a simple solution. If elevated levels are detected in your home, you can install a radon mitigation system, which collects the gas from underneath the foundation and vents it to the outside of your home. These reduction systems can reduce radon levels in your home by up to 99 percent, according to the EPA. 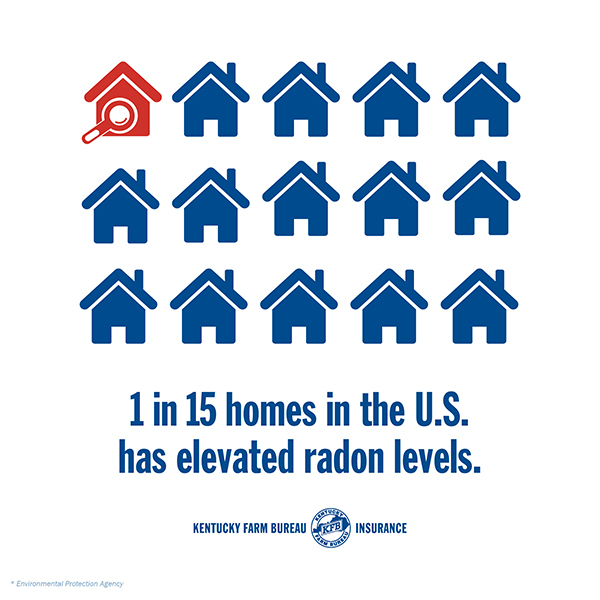 Find a certified radon mitigation professional in Kentucky by contacting the Kentucky Radon Program in Frankfort at 502-564-4856.